A remote village on the edge of the North Yorkshire Moors is set to become the first place in the North of England to benefit from a pioneering new way to get superfast broadband to challenging areas. All 136 homes and businesses in the small village of Westow will soon have access to broadband speeds of up to 80Mbps – using a three kilometre microwave radio link instead of digging fibre optic cable into the ground. A special transmitter dish will beam a broadband link - using radio waves - from the nearby Whitwell Hill exchange to a receiver attached to the street cabinet serving the village. The innovative scheme was made possible by funding from the Superfast North Yorkshire programme, a partnership led by BT and North Yorkshire County Council. The wireless solution is part of BT’s toolkit of innovative technologies designed to expand the reach of fibre broadband. 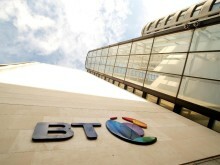 It is also testament to BT’s on-going commitment to innovation. In 2012/13 alone, the company invested £544 million in research and development. Helen Yarrow, BT project manager, said: “Using microwave radio was the ideal solution for Westow as we knew that it wouldn’t be viable to lay a fibre optic cable to such a small and remote community. The microwave link uses ‘point-to-point’ technology which meant engineers had to install a small football sized transmitter dish at the top of a specially built 12 metre high wooden pole in the grounds of the telephone exchange building so that it could ‘see’ the receiving antenna erected on another pole situated 3 kilometres away in Westow.. The broadband signal from the exchange is beamed across using a radio wave signal to link up the exchange with the receiving antenna which is then linked to a new green roadside fibre cabinet serving the village. Councillor Carl Les, chairman of superfast North Yorkshire, said: “North Yorkshire is proud of its pioneering record in deploying next generation broadband. We were the first county to roll out fibre under the government’s BDUK programme so it is fitting that we are the first programme in the north of England to be using this latest technology to push the deployment even further. BT first piloted “wireless to the cabinet” technology in 2013 in Northern Ireland, with a link established between the mainland and Rathlin Island. In October this year, the village of Northlew, in Devon, launched a four kilometre microwave radio link to connect up 120 premises in the tiny historic village. BT was chosen as the private sector partner in the project following an extensive selection process by the county council. The company is contributing £10 million towards fibre deployment in “non-commercial” areas whilst the county council is using its £17.8 million share of BDUK funds and a further £8.6 million coming from the European Regional Development Fund . An additional £8m is being invested to push the deployment of fibre even further with the aim to make the technology available to another 11,100 homes and businesses across England’s largest rural county by 2017. To help businesses in North Yorkshire take advantage of the faster broadband speeds a support service has been put in place to provide free services such as training workshops, skills master classes and business development events. This will demonstrate how faster broadband connections can help to develop business and increase profits by maximising efficiency and productivity.